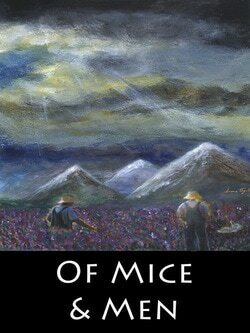 "A Timeless Story of Companionship & Love In Desperate Times"
In the bleak & gritty California of the Great Depression migrant workers wander up and down the fertile valley in search of work. They are homeless, dispossessed, discriminated against and desperate to survive. Among these throngs of men we meet George Milton & Lennie Small, an unlikely pair with a dream of a better life. George is a guardian & big brother to Lennie and Lennie is a constant & loyal companion to George. They arrive a few miles south of Soledad where they find work, and for the first time, a real chance at a better future. A lonely world where lives intersect but seldom connect.